Jasper National Park in the Canadian province of Alberta is a winter wonderland, even in summer. Snow-capped mountains and numerous glaciers are among the biggest draws in this park, along with rushing waterfalls, scenic lakes, and robust wildlife like bears and mountain goats. I visited Jasper in August and was blown away by the number of amazing sights. It was every bit as spectacular as advertised! The list of Jasper places to visit goes on and on, but I’ve managed to narrow it down to 24 of the best choices. You won’t be able to accomplish everything on this list in just a day or two, so pick and choose the activities that are most important to you. Options range from hiking, camping, and exploring the great outdoors to less-adventurous options like relaxing in natural hot springs and riding in a mountaintop gondola. Now, keep reading for this list of 24 awesome things to see and do in Jasper! If there’s one must see in Jasper National Park, it’s Athabasca Glacier. The most-visited glacier in North America, Athabasca is conveniently located just off the main park road. You can take walking tours or snow coach tours to get out onto the glacier. Or just observe the massive ice sheet from a short distance away. Speaking of the Skywalk, this glass-floored walkway extends off a cliff and rests 918 feet above the valley below. The observation platform provides thrilling views. As of 2018, it costs $31 CAD for adults and $16 for kids with the advance-purchase discount. Ice climbing on one of the park’s frozen waterfalls is one of the coolest Jasper winter activities. Even beginners can sign up for a simple ice climb with help from a tour company. During summer, rock climbers turn their attention to the many peaks in the park. 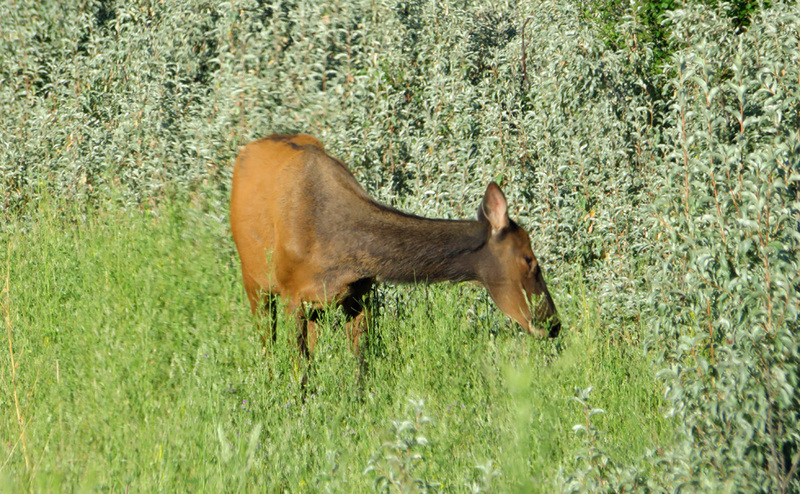 Bears (black and grizzly) are the stars of the Jasper area, but you can also see moose, mountain goats, bighorn sheep, caribou, elk, deer, wolves, and coyotes among the 53 total mammal species in the park. Keep your eyes open everywhere – I saw a lone mountain goat atop a hillside in the far northern part of the park. In 2011, the Royal Astronomical Society of Canada designated Jasper as a “Dark Sky Preserve.” This ensures the area will never be overrun with city lights, since artificial light pollution must be minimized. The result is that Jasper’s 4200 square miles (roughly 11,000 sq kms) offer some of the clearest night skies in this hemisphere. Above, check out the brief clip of the skies over Lake Annette, from Tourism Jasper. 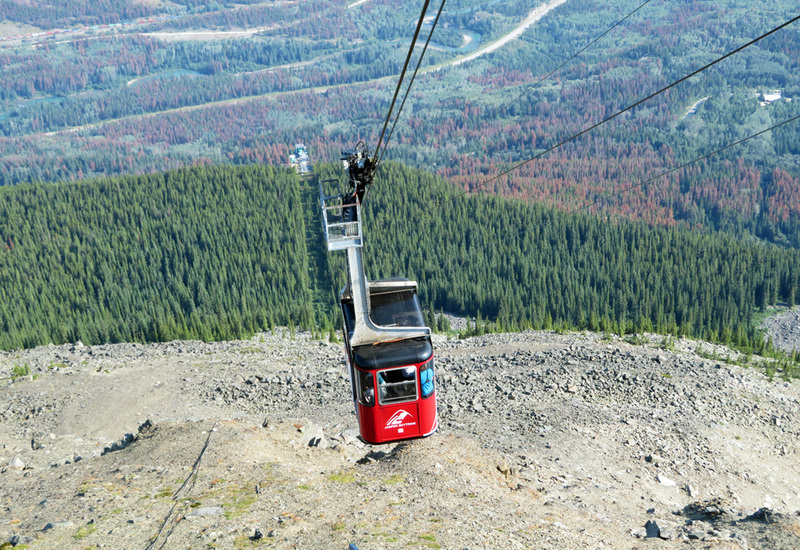 The Skytram is one of Jasper’s coolest activities. In seven minutes, you will be lifted in a gondola above the tree line to a land of alpine tundra. 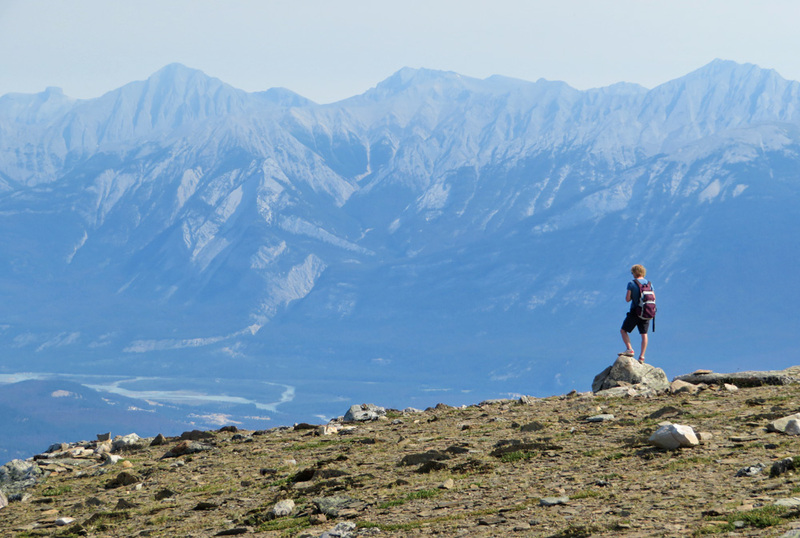 From up here, you can see the city of Jasper and much of the surrounding landscape. Prepare your wallet ahead of time – the ride is $47 CAD for adults and $25 for kids as of 2018. Your upwards journey doesn’t have to end once you reach the top of the Skytram. 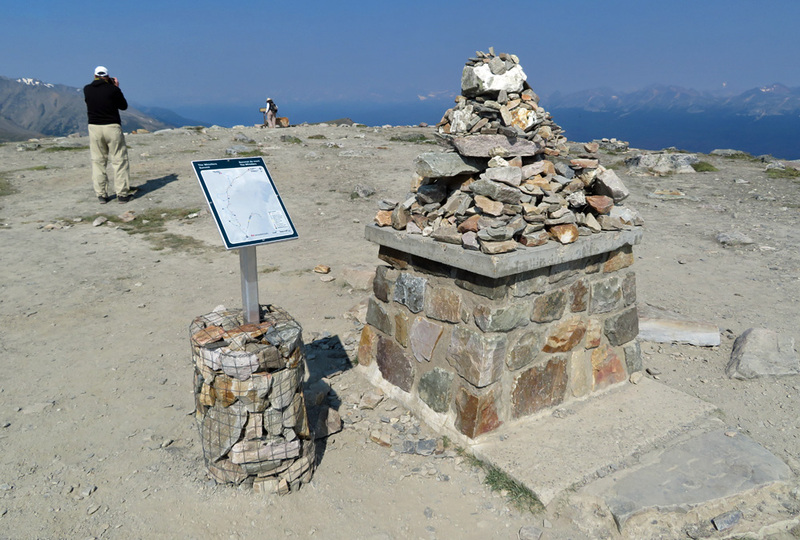 From there, follow the hiking trail to the actual summit of Whistlers Mountain, which sits at just over 8000 feet (2463 m) elevation. The walk was only 45 minutes, but it was challenging because most of its steep uphill incline. A great summer workout! Jasper is full of glacier-fed rivers that offer great rafting opportunities for those who are so inclined. Pick anything from a tame, family-friendly float to a Class III whitewater adventure on roaring rapids. 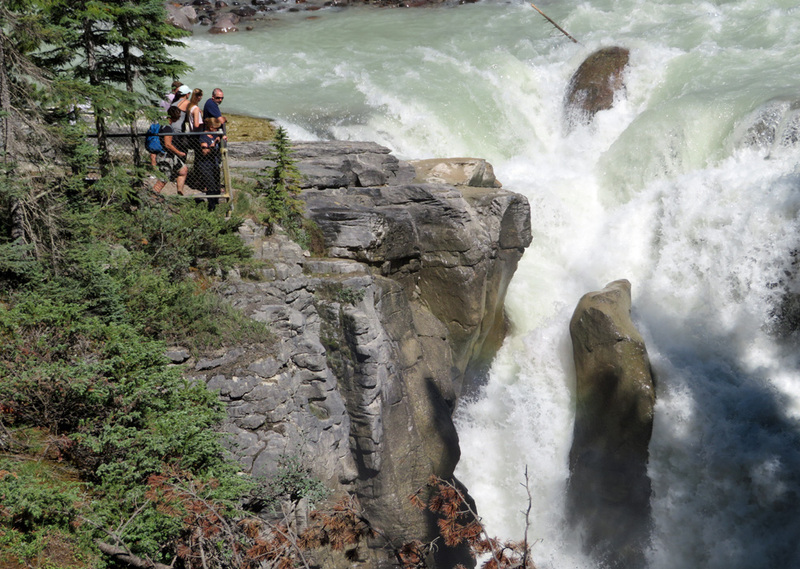 Sunwapta is one of the most powerfully impressive waterfalls in Jasper. It’s just off the Icefields Parkway, so visitors can easily drive to it. And thanks to a walkway bridge that crosses the raging waters, tourists can see Sunwapta Falls from several different angles. And they can get really close. You might assume Athabasca Falls would be located near Athabasca Glacier, but you’d be wrong. The falls are actually 45 miles (72 km) to the north. 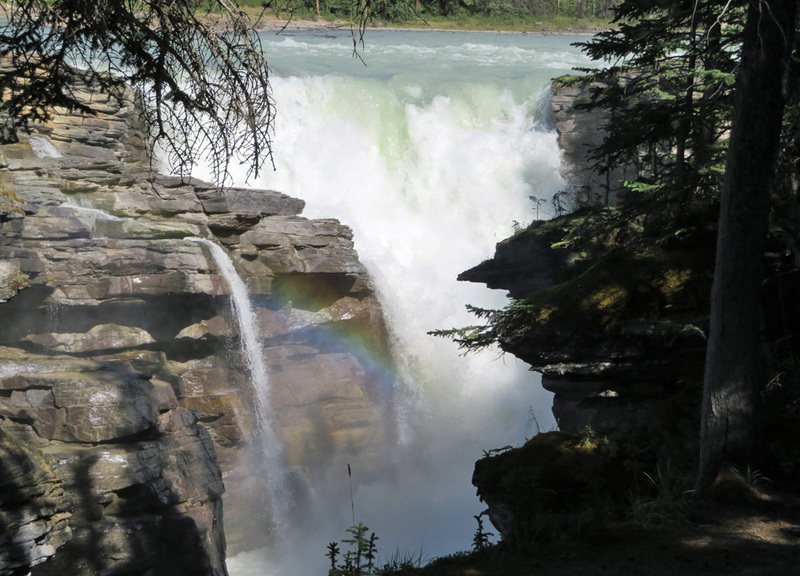 These falls are not as high as Sunwapta, but the way they cascade over the rocks makes them a cool sight. Very much worth the visit! Many of the park’s hiking trails were initially established as horse trails. I’m not personally into horseback riding, but for those who are, I can’t imagine a more scenic location to do it. 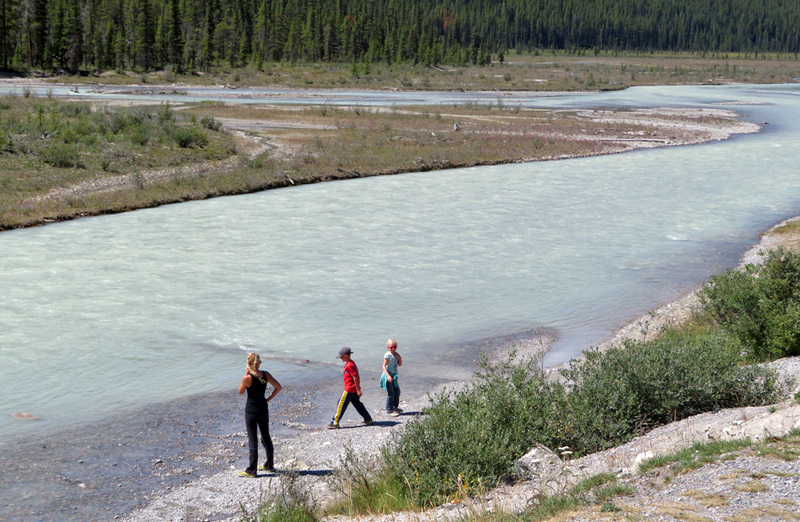 The Athabasca River Valley is one of many ideal spots for this activity. 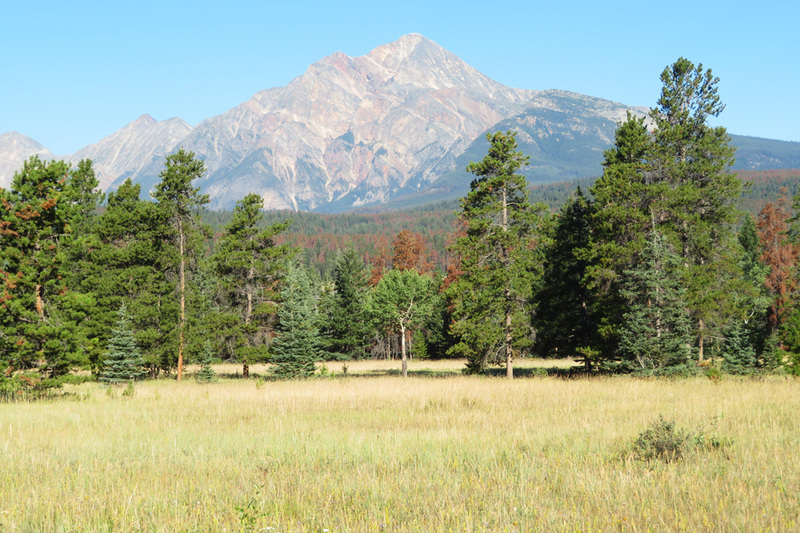 Anyone who loves the outdoors will want to go camping in Jasper National Park. I spent a night in the heart of the park in Wabasso Campground along the Athabasca River, and another at Pocohontas Campground up north. 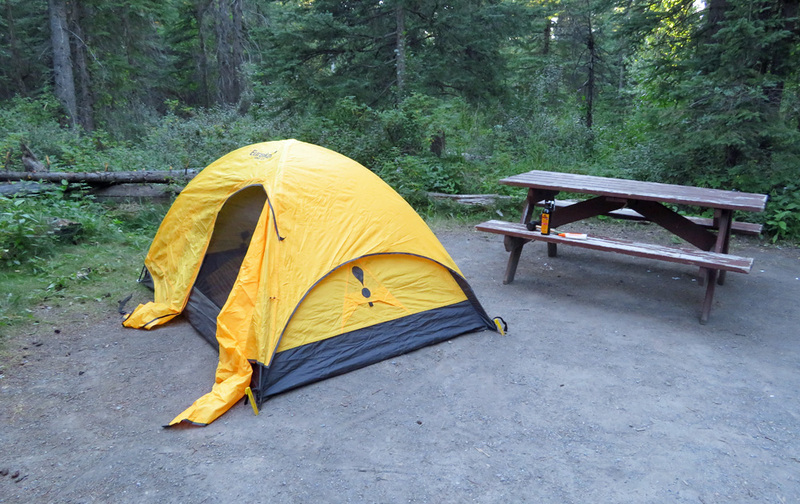 Jasper features 11 campgrounds, with firepits and (sometimes) electricity. More than 1800 campsites exist in Jasper, several of which take reservations. 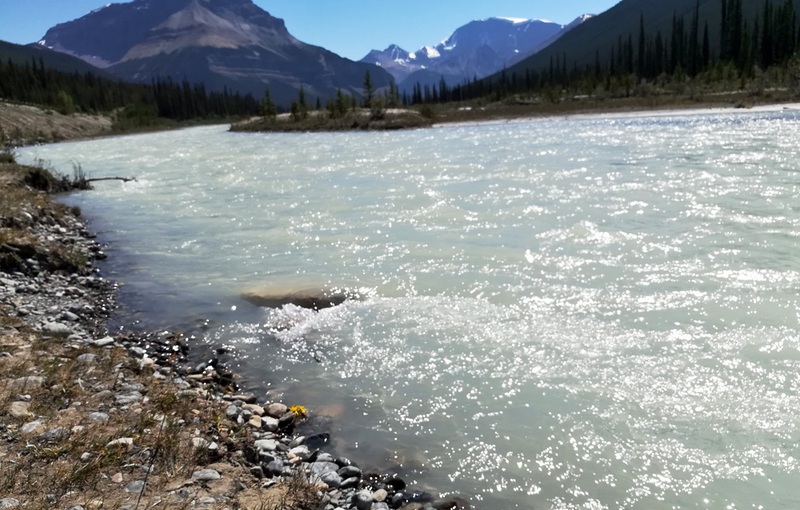 Backcountry camping is possible for those who have knowledge of how to handle Jasper weather changes, stream crossings, challenging terrain, and wildlife. Parks Canada provides an extensive list of 2- to 10-day backcountry hikes. Bring your bear spray! 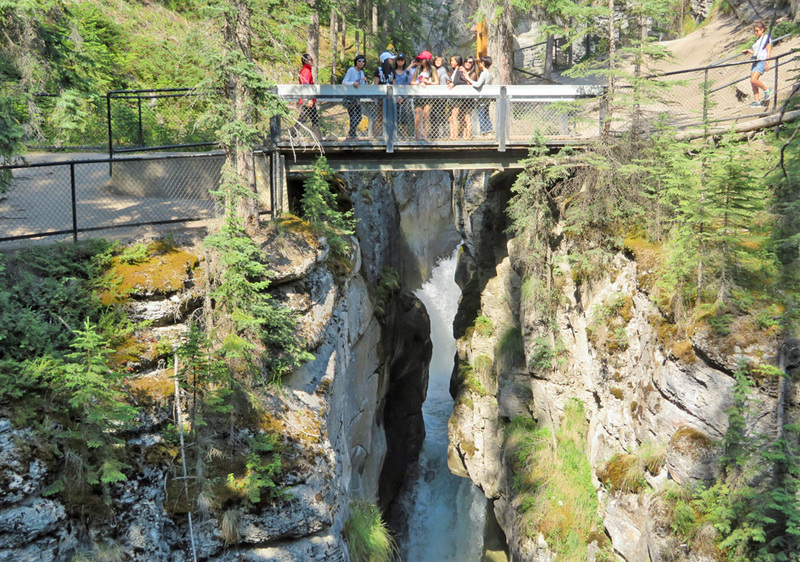 Tourists flock to Maligne Canyon to see the 164-foot (50m) drop. Six bridges cross the ravine, giving people a chance to see the rushing water up close. Allow plenty of time to stay and enjoy the views in this canyon, because they’re incredible. Near the parking lot you’ll find bathrooms, a teahouse and an Interpretive Plaza. The hottest mineral springs in the Canadian Rockies can be found at Miette Hot Springs in the far northern section of the park. Water that comes out of the mountain at 129 F (54 C) is cooled to around 104 F (40 C) so that visitors can relax after a long day of sightseeing. 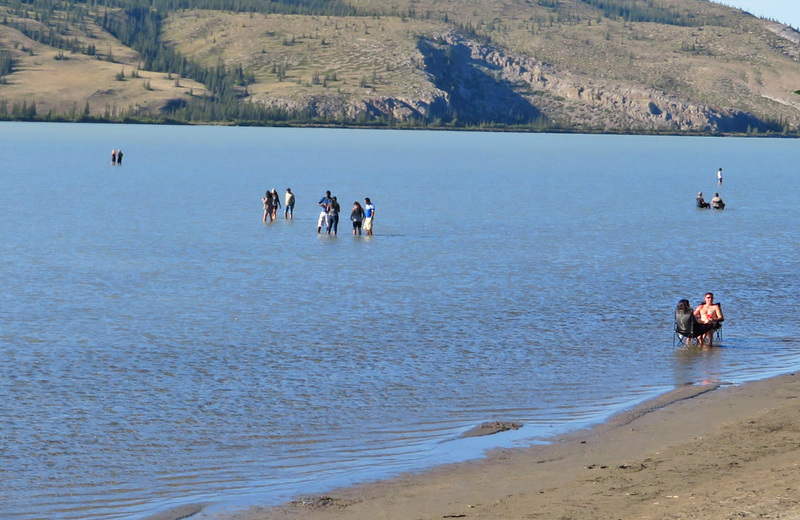 On the way north to Miette Hot Springs, I was stunned to pass a large lake that was so shallow that people could sit in lawn chairs in the middle of it. This is Jasper Lake, and it’s only a couple feet deep. It’s a great chance to take some cool Instagram photos standing way out in the middle of a lake! With so many cool things to do in Jasper, this one can easily escape people’s radar, but it’s worth a stop. This one’s not for everybody, because helicopter rides are very pricey, but the views are incredible. 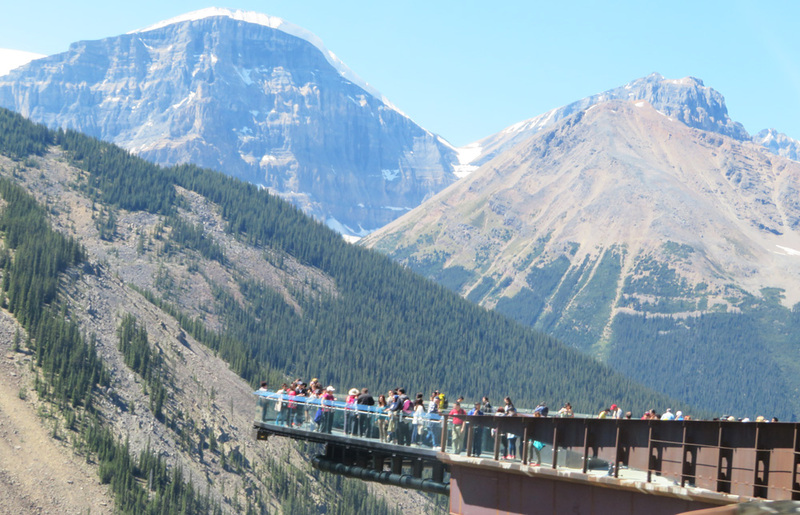 The shortest tours (20 minutes) start at about $200 CAD and allow tourists to see Jasper from high above. 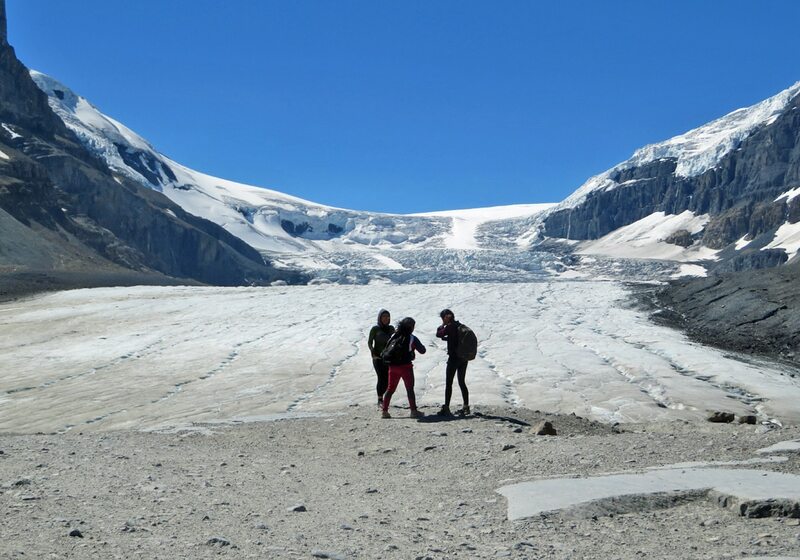 An hour-long tour flies above the Columbia Icefields for a bird’s eye view of the glaciers and mountains. In addition to Whistlers Mountain, Jasper has a ton of great hikes depending on your skill level. There’s nothing like hiking in an environment like this, hearing the birds chirping and the distant waterfalls rushing, smelling the pine and the fresh, clean air. Choose a hike to match your experience level here. Pyramid Lake, Patricia Lake, Maligne Lake, Lake Mildred, and more… Jasper has enough lakes to satisfy anyone. Getting out on the water is always a fun way to experience a park. Visitors who have the time and money may want to check out the Maligne Lake Cruise, an excursion that leaves multiple times per day and transports guests to Spirit Island. Yes, Jasper has a golf course. In fact, Fairmont Jasper Park Lodge Golf Club is often ranked as the #1 public course in Canada. What could be more scenic than hitting the links in such a beautiful area? Believe it or not, the 18-hole course has been in operation since 1925. This one’s a bit redundant, because every drive in Jasper is a scenic drive! But make sure to stop at some of the pullouts to soak in what you’re seeing. 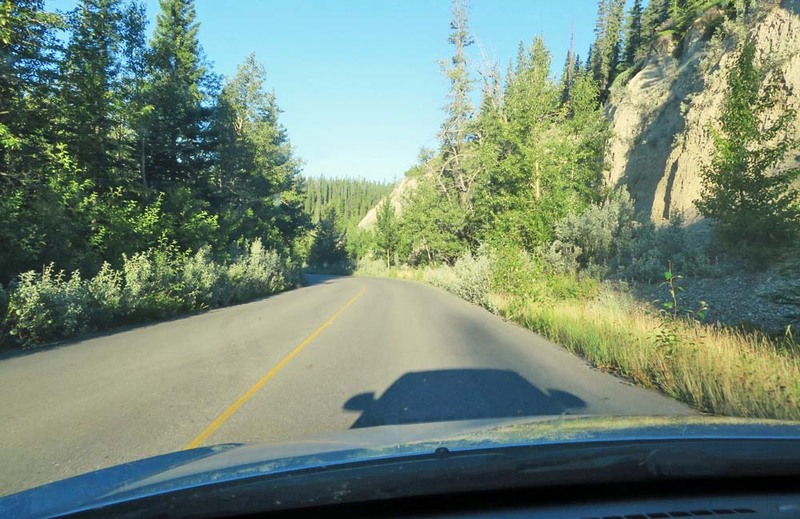 And consider some of the less-traveled side roads in the northern part of the park, such as the roads to Maligne Lake and Miette Hot Springs. 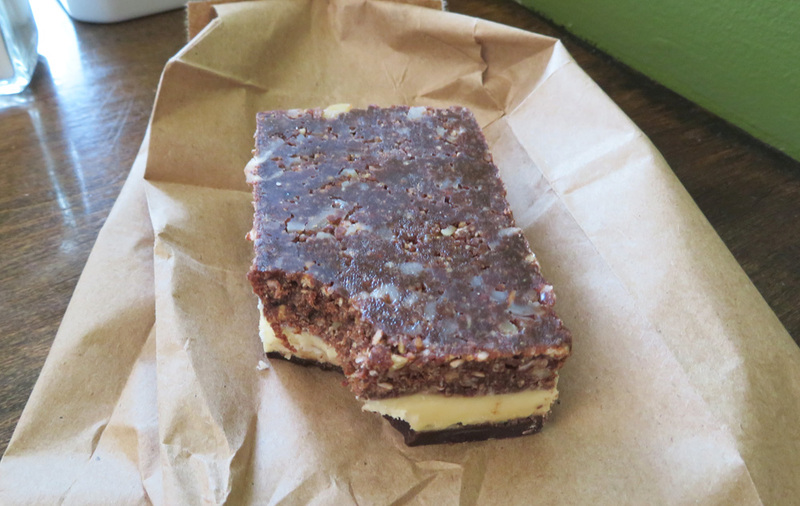 I had never discovered the nanaimo bar until a visit to a Jasper coffee shop. And now this Canadian dessert is one of my favorite treats in the world. You don’t know what you’re missing if you haven’t tried the snack with a chocolate sheet on top, creamy filling, and a chocolate crumb base that resembles a no-bake oatmeal cookie. Delicious! After a strenuous hike, you’ll deserve one (or two) of these. 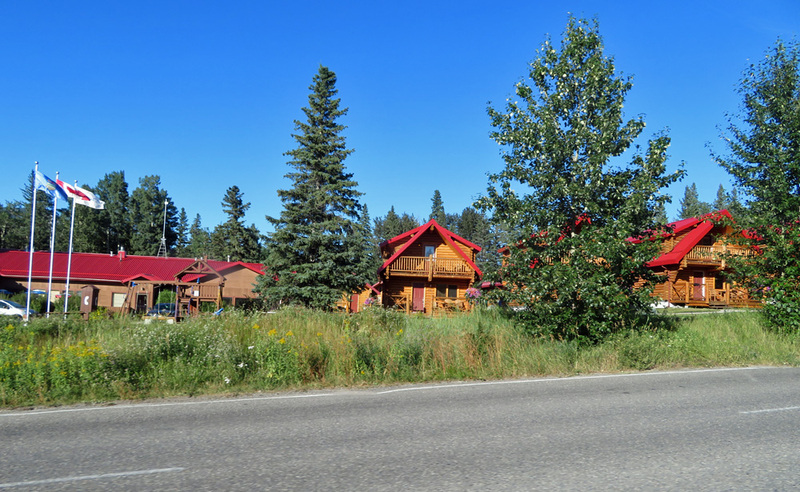 Jasper accommodations range from campgrounds to upscale hotels. As noted above, only some of the park campgrounds can be reserved in advance. To avoid showing up to a first-come, first-serve campground and finding that there are no camping spots left, you’ll probably want to book something ahead of time. 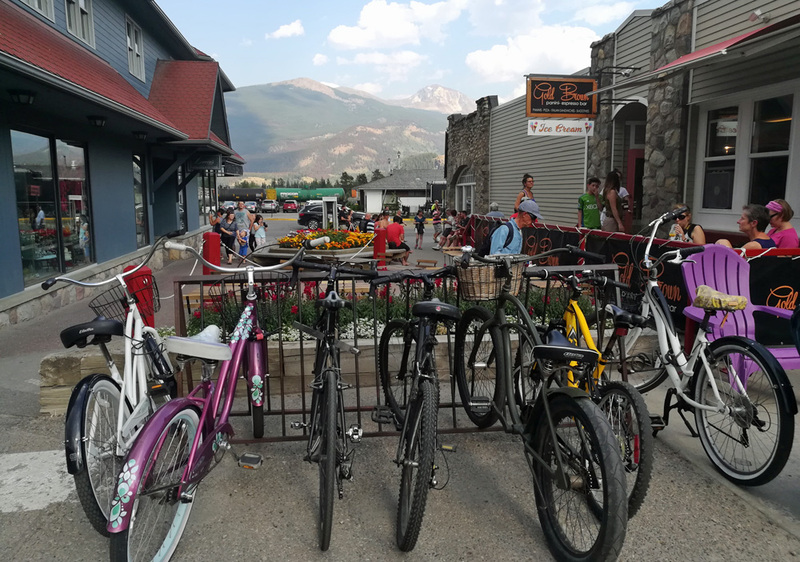 The town of Jasper is a good place to start. 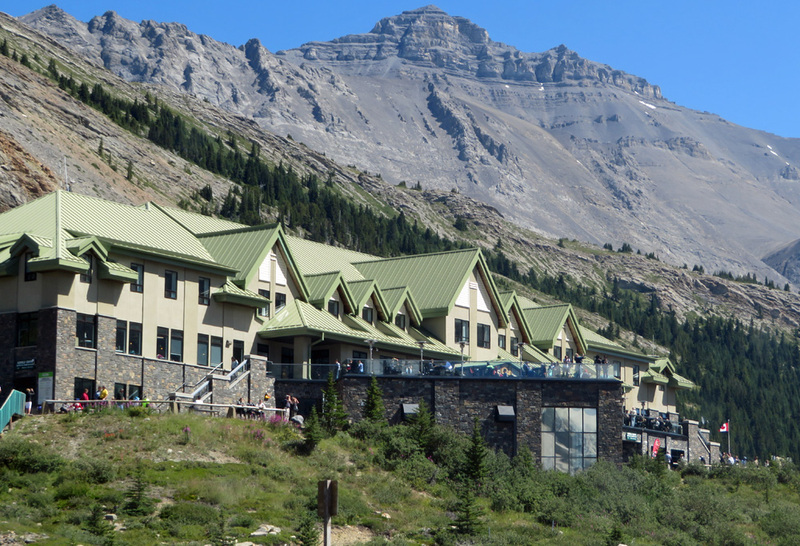 Jasper hotels include Astoria Chalet, Whistlers Inn, and the Best Western. You can also find lodging in Edmonton (4 hours away) or Calgary (5 hours) if you don’t mind a long drive the next morning. Airbnb is another great option for this part of Canada. I always recommend booking.com as the best place to search for hotels and hostels, because they do the best job of aggregating hotel properties and finding the lowest prices. Click to search for hotel options on booking.com.